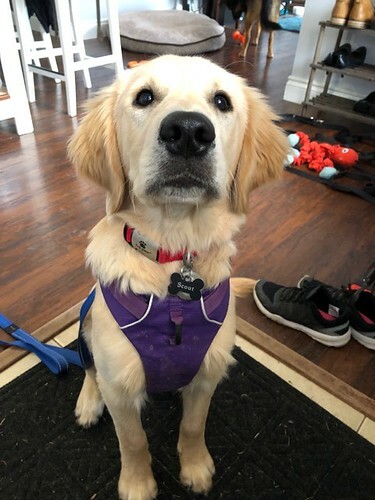 Golden Retrievers : Golden Retriever Dog Forums > Off Topic > Product Recommendation > Favourite hiking harness? Just wondering what everyone's favourite hiking harness is for their goldens? Looking for something comfortable and relatively lightweight, preferably something that can handle water/washing once in a while. 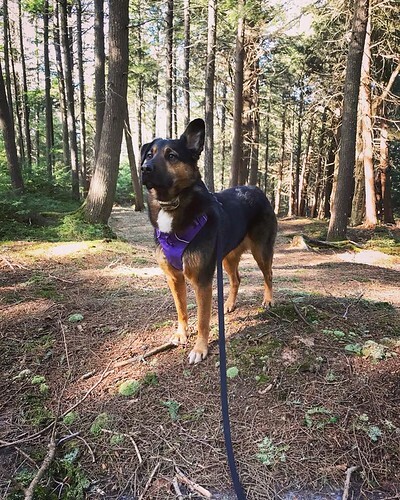 My shepherd mix has a Ruffwear Front Range which works well for her but is a bit bulky, and slides around a bit on him (could just be his built at the moment, he may grow into it). Figured I'd see what everyone uses and recommends! I use a Ruff Wear Palisades back pack. These you can remove the the saddle bags and it leaves a spider style harness to walk with and that has cut outs to keep the dog cool. The pack itself allows the dog to carry it's own stuff. It has water bladder for carrying it's own water, food, first aid supplies. It's for all day hiking. I also have the Core Cooler. It can replace the standard harness that the saddle bags attach to and keeps your dog cool in the warmer days. I don't use regular harnesses so for hikes and such I like the functional ones. We don't generally hike for more than a few hours but I like the option of making him carry his own stuff. Do you find the harness moves around (with or without pack) or is it quite stable? No, not at all, very stable for my dogs but I had the ability to try them on at a local store that carried the Ruff Wear line. So you just need to get the right size and they fit like a glove. Their online sizing guide I think is pretty accurate though. A couple friends have gotten them and it worked for them (the sizing guide). Perfect! The local vet carries ruffwear but only the front range harnesses. I'll have to see if I can find another store that may have the pack. Thank you! Not that your vet wants to be a fitting room, but you can try on the other harnesses and see what size fits your dog best then just order the pack of the ruff wear website. It's not like a large in one type will fit differently than the other type.